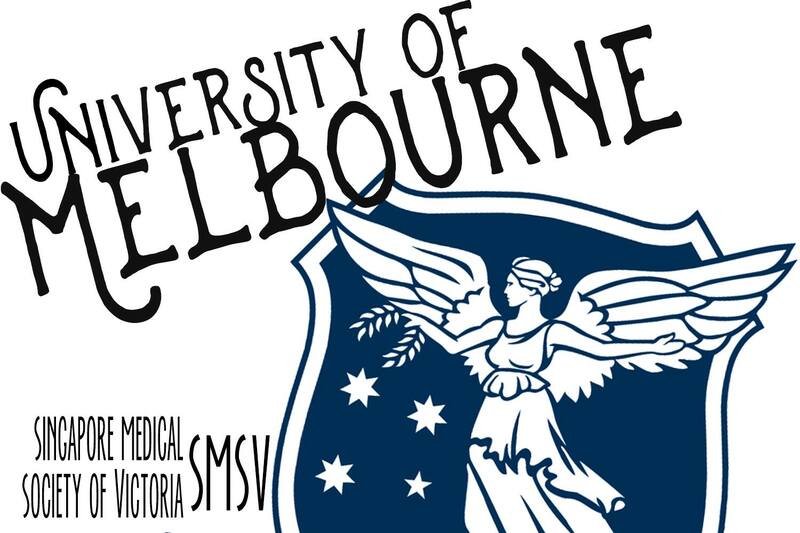 The Melbourne University branch of SMSV has been growing with every new batch of MD students since the course started in 2011. This year with Sean Seow at the helm flanked by Shane and Bing Jian, we’ve been holding our regular events as well as a few new initiatives. 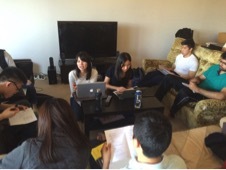 It has always been an ongoing tradition for us to hold mock OSCE sessions for our members. Every year, we organise a full day of intensive history and examination training just a few days shy of the actual exams, so that members can gauge how well-prepared they are and work on areas needing improvement. Feedback from our members have always been positive, with many attributing it to the opportunity to fine-tune their OSCE skills with the help of their seniors’ valuable and individualised feedback. This year, we have also started something new and exciting. Some of the MD3s have stepped up to become lecturers! 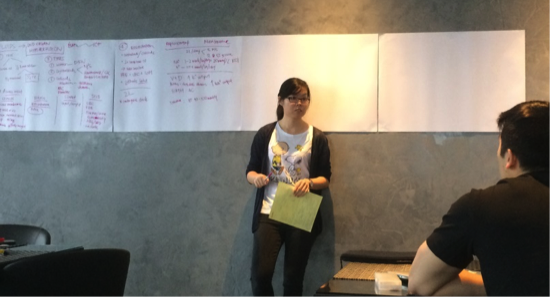 The first of our Small Group Lecture series took off with awesome fervour. The lecturers did a great job elucidating and clarifying the vital concepts of fluid resuscitation, shock and anaphylaxis management to the MD2s. These lectures were instituted to help our fellow junior SMSV members navigate important or tricky concepts, or fill in the gaps in knowledge that may not have been well expounded on in the course. Senior SMSV lecturers put in great effort to come up with the lecture topics, structure and content. It was great to see that the participants found the lectures useful and enriching. We hope to keep this initiative going and make it even better with every lecture. Every week, the seniors impart medical wisdom and tips on surviving clinicals to the juniors. During these casual tutorials held in various parts of the city (usually someone’s couch), mentors go through theory, examinations, long case presentations and of course, the usual lively banter. These mentorship sessions not only benefit members academically, but also help foster a sense of community and fraternity amongst our members. At the end of the day, SMSV is not all work and no play. It is a tradition to kick off the year with our annual welcome-back potluck, an event that allows us to catch up with our peers and also an opportunity for our members to show off their fine culinary skills, ranging from herbal Bak Kut Teh, apple strudels to homemade Tau Huey. 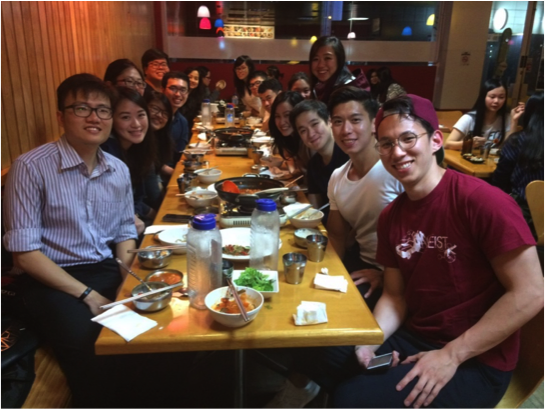 This year also saw our inaugural Freshies Dinner, where our committee got together with new members to get to know each other over some good food in the midst of their grueling pre-clinical year. As we soldier on through the course, it is indeed heartwarming and encouraging to see SMSV UniMelb members of all academic year levels come together to support each other at our academic and social events. With an increasing number of present members and alumni, we hope to see the SMSV UniMelb network grow and flourish with each passing year.